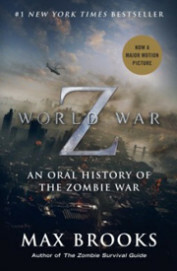 One of the first accounts recorded in World War Z: An Oral History of the Zombie War begins, “Most people don’t believe something can happen until it already has. That’s not stupidity or weakness, that’s just human nature.” The thing that happens here, in a not-so-distant future, is that a zombie apocalypse nearly extinguishes the (living) human race. Accounts from soldiers, politicians, civilians, monks and mercenaries have been collected from places as disparate as Manitoba, Bethlehem, Antarctica, and Barbados. Together they weave an all-too-credible tale of how a zombie outbreak spreads from rural China to engulf the world before “total war” is waged to reclaim at least a shadow of our former lives. As the title of a recent New York Times Magazine article put it, “Max Brooks Is Not Kidding About the Zombie Apocalypse.” He gives lectures to audiences who may be expecting comedy or drama (Brooks is the son of Mel Brooks and Anne Bancroft), but he appears to be completely in earnest. “Since 2001, people have been scared,” he explains. 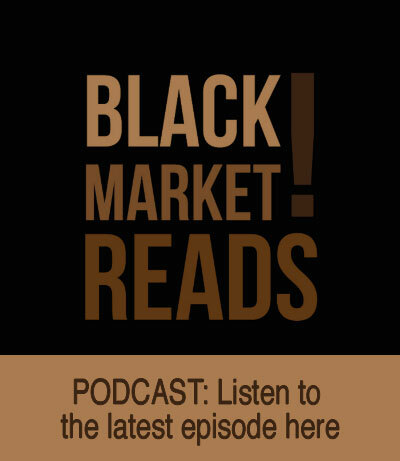 “There’s been some really scary stuff that’s been happening—9/11, Iraq, Afghanistan, Katrina, anthrax letters, D.C. sniper, global warming, global financial meltdown, bird flu, swine flu, SARS. I think people really feel like the system’s breaking down.” In World War Z, Brooks uses zombies as a symbol for any of the fears listed above—the kind of assaults that you can barely predict, cannot control, and must scramble to survive. How would you survive a zombie plague—or one of its more realistic equivalents? Would you flee north in hopes of the zombies freezing behind you? Would you barricade yourself into an apartment building, a college dorm, a church, or a nuclear sub? Would you join the military or a vigilante group? If you own a gun, how much ammunition do you have? If you own a baseball bat, how many skulls could it crush before breaking? Would you suicide? Be eaten? Become a zombie? Survive? World War Z brings up all kinds of questions—and answers—on a personal as well as a global level about what could happen and what could be done about it. Be prepared to be disturbed—by the brutal mechanics of the Redeker plan for a nation’s survival, the sight of “mega swarms” of zombies on the Great Plains that are “miles across, like the American buffalo must have once been,” or the thought of an ocean floor clouded with zombies shuffling inexorably to your coast. But also be reassured: World War Z is an oral history told by the survivors. If you are open-minded, if you are resourceful, if you are stubborn, and if you are lucky, it is possible that you just might be able to count yourself among them. Annalee Newitz’s Scatter, Adapt, and Remember: How Humans Will Survive a Mass Extinction is just as engrossing as Brooks’s fictional threat. Newitz begins with the Earth’s first known mass extinction 2.5 billion years ago. She continues through apocalypses known as Snowball Earth and the Great Dying, through gamma ray bursts and gigantic volcanic eruptions, through meteor strikes and destructive human behavior. While readers may be discomforted to learn that the Earth goes through inevitable cycles of extinction and that we might be on the leading edge of one right now, they might also be consoled by Earth scientist Mike Benton, who claims that in a mass extinction, “the initial killing is often quite random, and so nothing in particular can protect you.” It’s the following “grim times” in which the “adaptable forms . . . have the best chance of fighting through.” If a megavolcano erupts or a nuclear bomb drops, there might not be much anyone can initially do, but human beings as a species are fairly adaptable, and we have a huge advantage in our ability to study the past and imagine a future. While reading about the cycle of Earth’s past extinctions and evolutions is fascinating, some of Newitz’s speculations about the future are troubling. The idea of living in a sustainable or “death proof” city sounds lovely when you think about, say, growing crops on New York’s High Line. But some of the proposed developments in synthetic biology—a house lit by glowing algae, or supported by floors “made from tweaked cellular material that strengthens like bones as we walk on it,” or one that is actually a living organism grown from a seed—are tough pills to swallow. So are Newitz’s descriptions of space elevators (which could take large amounts of people to launching stations outside the earth’s gravitational pull) and genetic engineering to make our bodies capable of surviving the ice volcanoes and methane lakes on Saturn’s moon Titan (a prospective site for eventual human colonization because of its similarities to Earth). 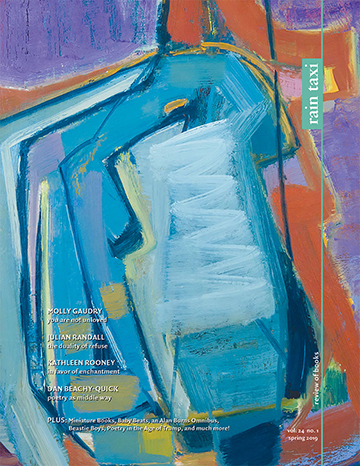 But even if these ideas inspire resistance on first read, they also inspire a good deal of contemplation. In this way, these challenging ideas drive home one of Newitz’s more profound points: that we are a species capable of speculation, evaluation, and (hopefully) adaptation. 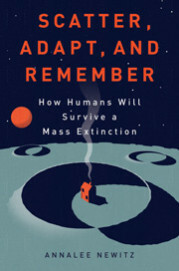 In the very last section of the book, Newitz asks the question that intrigues the most: “What will they remember about us?” Considering the way we use the term “Neanderthal,” I wonder if future humans will debase slowpokes and dullards as mere “sapiens.” Or perhaps we’ll become infamous for the conscious destruction of our own habitat (as opposed to the blithely ignorant algae whose “farts” brought about the Oxygen Apocalypse 2.5 billion years ago). Perhaps we’ll be the species that chose not to alter ourselves through synthetic biology and to go down bravely in the ship of our planet’s next climate change. Or maybe we’ll be the species that took advantage of its human ability to consider the future and adapt accordingly—by living underground, building biological cities, colonizing other planets, and moving out of our comfort zone and into a brave new world—just like the small group of Homo sapiens that left Africa all those years ago to evolve into the people we know and are today. This entry was posted in Uncategorized and tagged 2013, summer on October 5, 2013 by admin.